Chunks of shrimp & Maine lobster and a blend of cheeses wrapped in thin pasta. 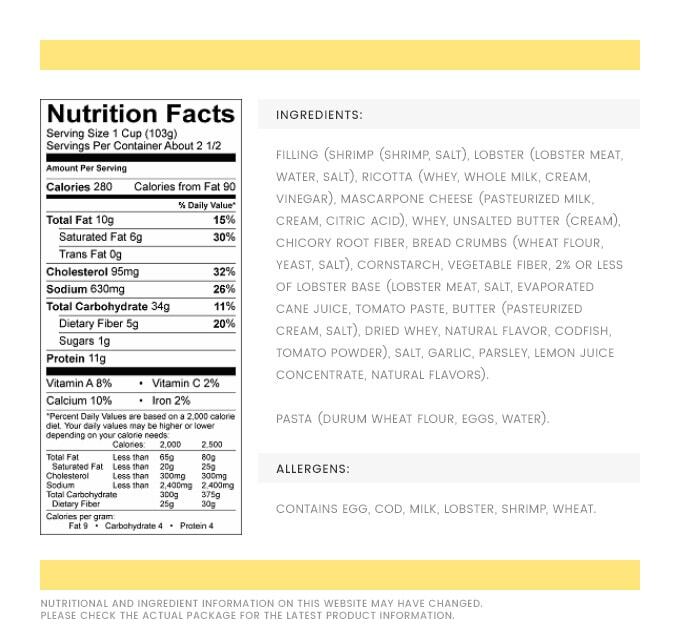 We use only Maine lobster, known for its large claws, vivid color and delicious taste. Our lobsters are wild caught in the cold, clear waters off the North Atlantic Coast.